The birthday of the Soviet automobile industry is considered to be November 7, 1924. For it was on that day, during a parade marking the anniversary of the October Revolution, that ten trucks built at the AMO plant made their way across Red Square. Editor - Elena Potapova; photos - Lori/Legion Media, ITAR-TASS; music - BoxCat Games "Epic Song". The first Soviet automobile — the AMO F15 — was based on the Italian FIAT 15 Ter truck. It proved its reliability during a rally immediately after the parade. In 1925, the vehicle went into serial production. 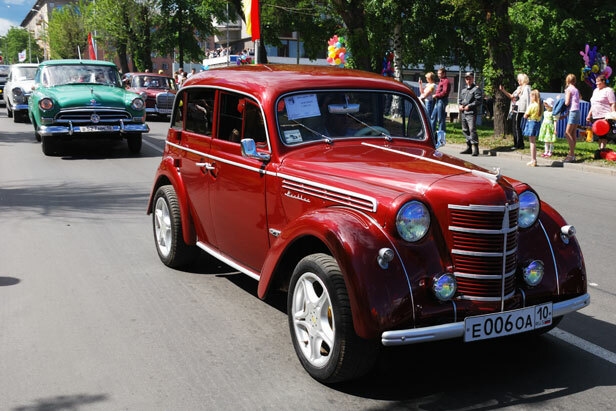 The first Soviet passenger car was produced in 1927. It bore the name NAMI-1. Its 20 b.h.p. engine could notch up a speed of 70 km/h.